Cheese is a milk based product obtained through the coagulation of the milk protein called casein. Different processes lead to amazing textures, consistency and flavors. The most common milk used is cow milk, but there are also varieties of goat and sheep milk. Famous French and Swiss cheese providers follow well kept traditional recipes to produce their unique products. Herbs and spices can be added to the mixture or cheese can be submitted to a wood smoke process to obtain tasteful assortments. 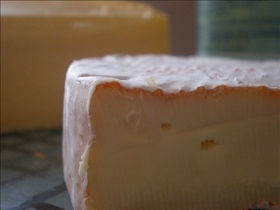 Mold gives cheese the world renowned flavor so many gourmets savor. Hard cheese has low moisture content leading to a firm texture. The cheese mixture is packed in forms under a substantial amount of pressure to compact the curd layers. Afterwards it is aged for long periods of time to obtain the most desirable consistency. Soft cheese is a higher moisture based product. Due to this, its flavor is considerably diluted. 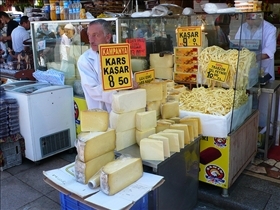 Soft cheese assortments include the so-called monastery cheeses and fresh cheeses. Cheese spread has moderate moisture content as to be both flexible and cream like. For cheese expecting a longer period of storage, it is advisable to buy hard cheese as it lasts longer mainly due to its fabrication process which groups milk proteins into a durable structure thus enhanced the product’s conservation over time. Even on shelves hard cheese will preserve its original characteristics. The moisture incorporated can alter the soft cheese’s taste and texture if kept on the shelf too long. Cheese spread can be stored in plastic containers but only for a few days as to not lose its freshness too quickly. The addition of mold can change a cheese’s structure. In the case of hard cheese, mold is usually inserted into the cheese mixture to form the blue veins for which luxury cheese is so famous for. The mold expands at the interior of the cheese ball creating its distinctive flavor. In the case of soft cheese adding mold creates an outer shell of firm white crust which encapsulates a tender core of soft cheese. Brie and Camembert are two highly appreciated types of cheese which are enjoyed as the result of this soft ripened process. Cheese spread can also include mold in the mixture for extra flavor. Hard cheese has a low degree of moisture content which leads to a firmer texture; soft cheese is more moisture content based; cheese spread has moderate moisture content. Hard cheese lasts longer as a result of the fabrication process; soft cheese is highly affected by environment conditions due to big moisture content included; cheese spread can be stored for a short time. Which type of cheese do you like best?